It’s been a long time between drinks for Sydney mathxblokes SERIOUS BEAK. Having last released new music back in 2011, the guys must be chomping at the bit to get new stuff out there. And here is the first taste of their upcoming album Ankaa, the new single ‘Red (Laniocera hypopyrra)’. 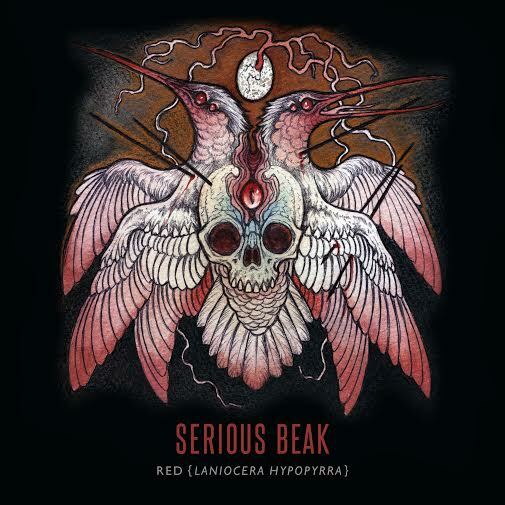 Delivering their gnarled polyrhythms and brutally labyrinthine song-structures with tongues firmly in cheek, Serious Beak won’t be disappointing any long-time fans with this latest slab of scungy tech-metal. Splitting the difference between Meshuggah (the heavy bits) and King Crimson (the chill bits), the band have wisely chosen a warm, throaty style of production that gives their manic assault the character it deserves. There’s also a really bitchin’ geetar solo at the end. On top of this, there’s a super srs video from the band encouraging you to help crowdfund the vinyl release of the album when it drops later this year. Definitely worth a look. 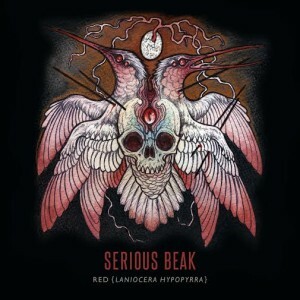 Help Serious Beak print their new album on vinyl! from Lachlan Dale on Vimeo. Ankaa drops 3 November 2015 via Art As Catharsis and Birds Robe Records. Pre-orders are available now via Bandcamp. The band will be part of NICEFEST, this Saturday 29 August 2015, at Herman’s Bar in The University of Sydney, with an awesome tour in the works.